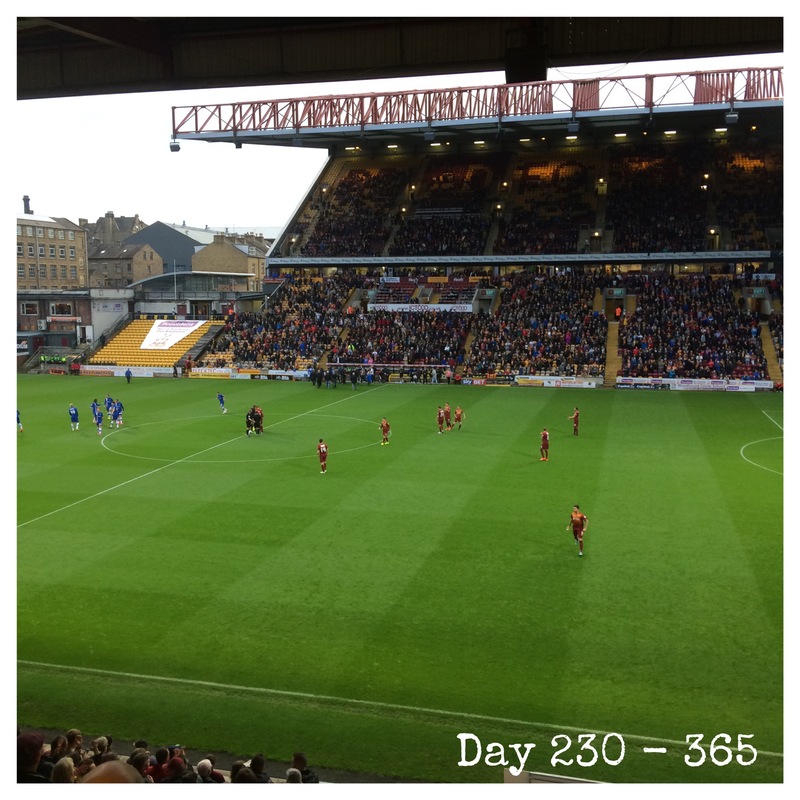 Valley Parade features, yet again, in another “365 Project” image. Here we see the Bradford City team moments before kick off against Gillingham in the second league match at Valley Parade this season. Seven minutes later James Hanson put us 1-0 up with his first league goal of the season. 90 minutes later and following Hanson’s second goal of the game – regrettably an own goal – we had lost 2-1. Despite this being the fourth game in which we have led 1-0 at half time (we have only played four games so far) we failed to build on that lead and had an awful second 45 minutes. It’s going to be a long and hard season.